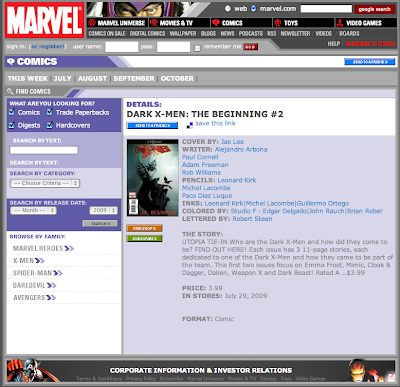 Lowest Common Denominator: Dark X-Men: The Beginning #2 ON SALE NOW! Dark X-Men: The Beginning #2 ON SALE NOW! I love reading comic books. They take me to the world of imganiation and are a source of relieving stress. I will surely buy this one as I have read the previous addition.